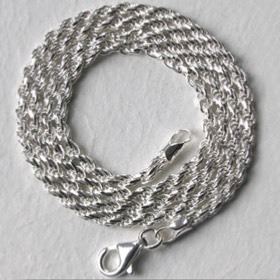 This beautiful silver rope bracelet is diamond cut making each surface sparkle as it catches the light. 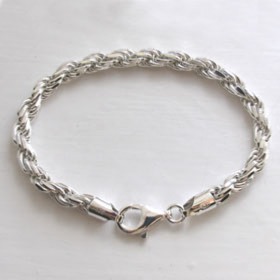 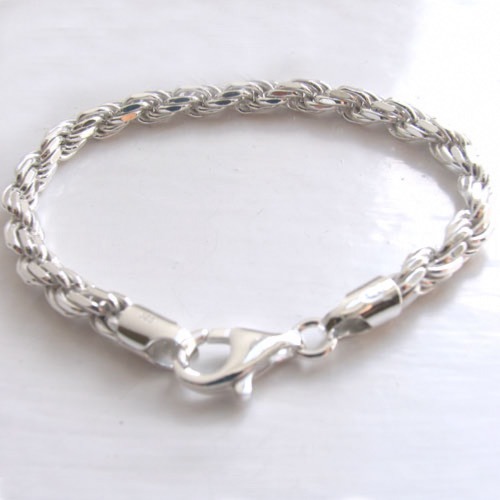 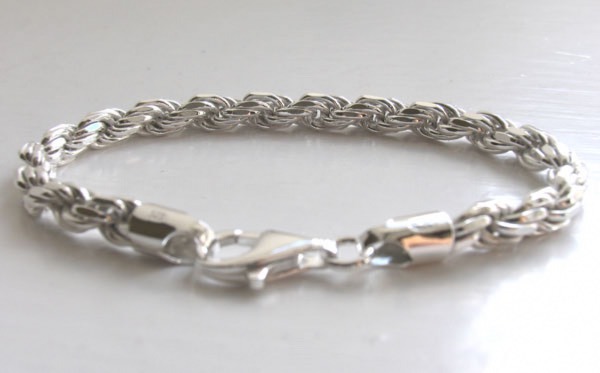 It is 6mm in diameter and round in profile - a chunky solid silver rope bracelet. 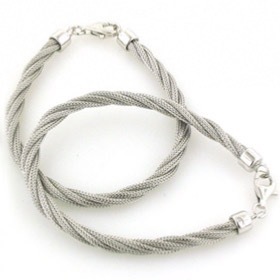 This rope bracelet is a fluid style moving loosely and easily around your wrist. 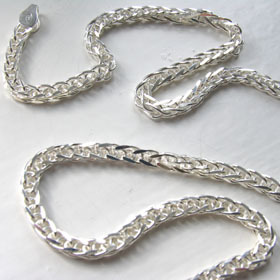 It is bright sterling silver which shows the characteristic waves of the design perfectly. 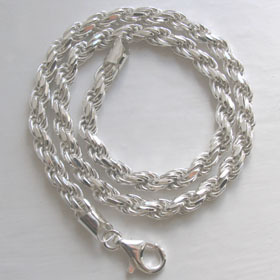 It fastens with a substantial lobster claw clasp. 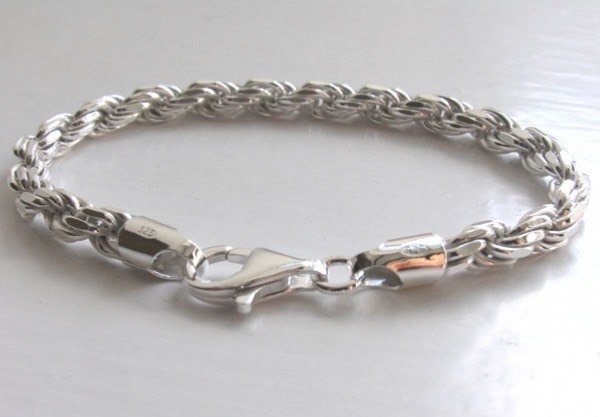 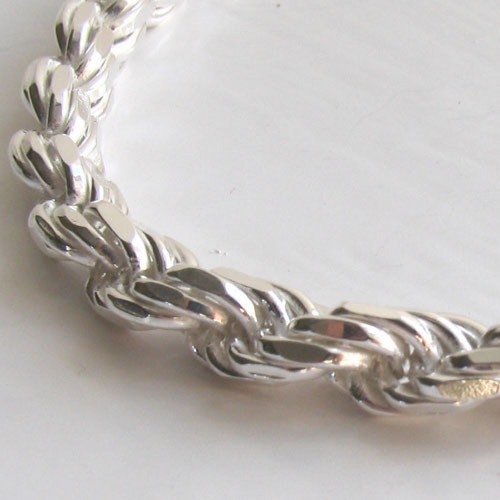 Made in Italy in Italian sterling silver, this is a quality silver bracelet. 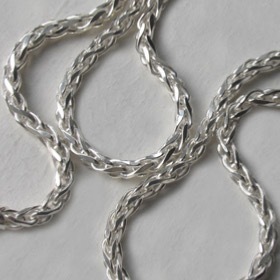 Perfect worn alone but also stunning with the matching 6mm silver rope chain. 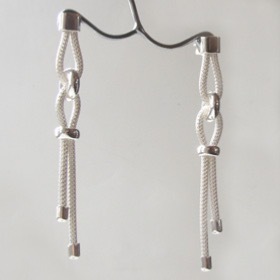 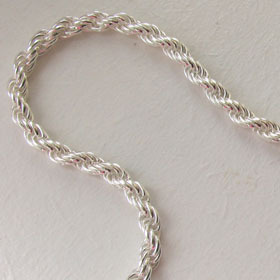 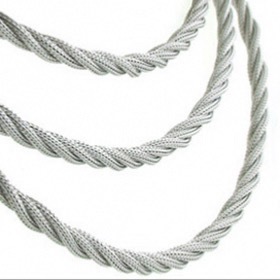 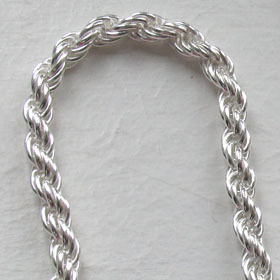 This rope chain is also available in a narrower width - see our 2.3mm silver rope chain.